We check over 450 stores daily and we last saw this product for £228 at Mytheresa. 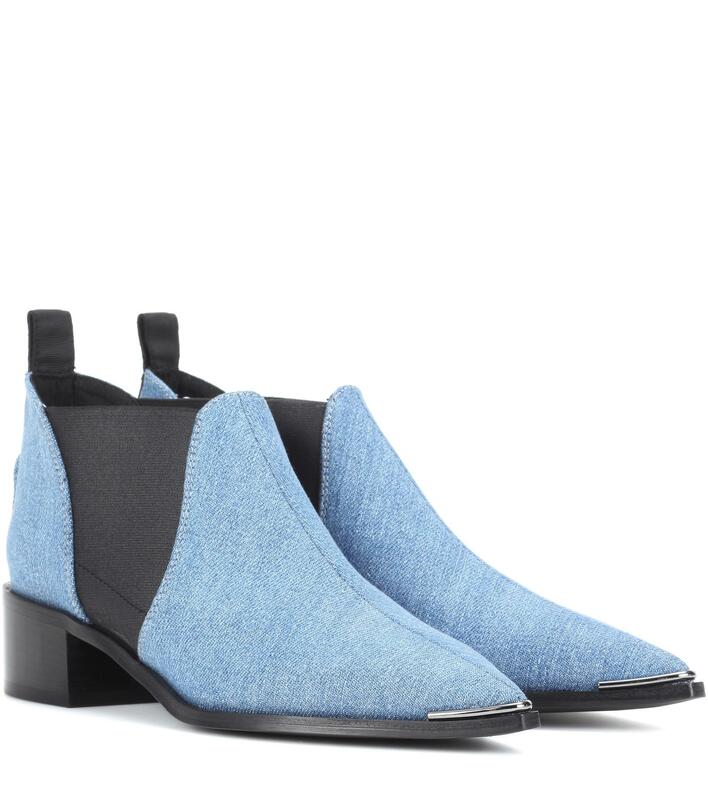 Acne combines its knowledge of denim and ankle boots with this pair of Jenny boots. 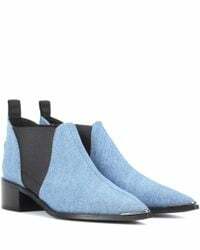 Crafted from indigo denim to a pointed-toe silhouette, they're contrasted with black side-panels and black stacked heels. The pull tabs make them easy to wear with anything from denim to dresses.